This easy to use, spiral-bound atlas shows the alluvial gold diggings, mines, reefs and public lands. Marked Universal Transverse Mercator (UTM) map grids are also plotted in the margins so you can roughly pinpoint your position using GPS. 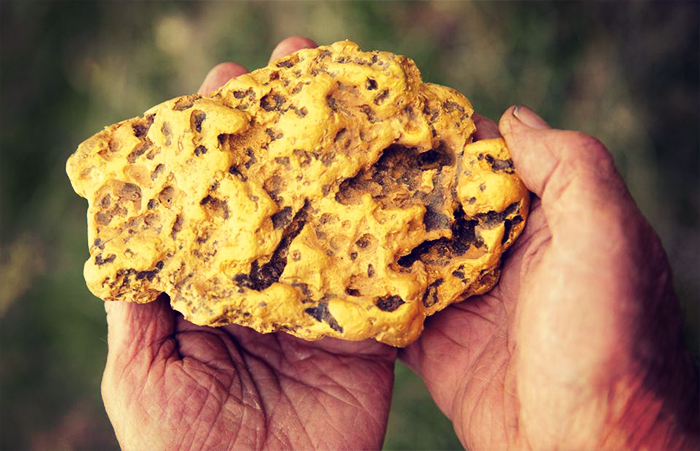 Over 400 full-colour pages with information on detector types, prospecting methods and map for all of the major goldfields in WA, NSW, Vic, SA, NT and Qld. State and territory maps showing gold locations plus information on gold deposits, extraction methods, prospecting and where to find Alluvial Gold. Over 80 pages of detailed gold prospecting maps for metal detecting including new release maps and photographs in colour. Detailed maps of the New South Wales Goldfields’ alluvial and reef mining, old and modern. Tracks, dams, creeks and landmarks, known nugget find locations with some GPS coordinates are also included. A large format atlas featuring many of Doug Stone’s popular Gold & Relic Site Maps. Alluvial gold diggings, mines, reefs and public lands are marked UTM map grids are also plotted in the margins so you can roughly pinpoint your position using GPS. If you are keen to try your luck in WA pick up a copy of these maps which include historical notes on the discovery and working of gold. Map details include Crown land, deep lead, surfacing, Main Road Secondary & Forestry roads. There’s a whole series of these maps covering prospecting spots throughout Australia, check the full range here. The comprehensive guide will provide tips on choosing the ideal detector, instructions on finding the best spots as well as information on cleaning and maximising the resale value of your equipment. Historical mine and lease maps on an 8GB USB that doubles as a bottle top opener, what more could you need on a prospecting trip around WA’s Goldfields? The Geology maps have been geo-referenced and converted into OziExplorer format (OZF2) and ECW format for viewing with a range of GPS mapping programs. Map images supplied by the WA State Department of Mines and Petroleum. If you can’t find your gold nugget amongst this small selection, give us a call or ask us online for a recommendation. Eureka.